How many people think about the beautiful new beach being formed as the lava destroys their home? Probably not many. Maybe only the ones that have experienced it many times before. In the chaos and destruction that comes with seemingly sudden change, it’s difficult to see new possibilities. The chaos and destruction is normal. It’s a natural part of life. We’ve tricked ourselves into believing it isn’t with tidy schedules and instagram perfect lives. Change is the one thing we can always count on. It’s so reliable we can even be a little prepared for it and ride that wave. Most of the time change doesn’t happen suddenly or without warning. Like a volcano waking up it, change sends signals too. Things build up. They churn under the surface. Quakes. Smoke. Then something gives, breaks and explodes. We’re left wondering WTF happened and trying to shove the pieces back together. Sometimes they don’t go back. Sometimes they do, but shouldn’t. Things change. With out change there is no growth. There will always be change. Change that we bring about for ourselves and change that is brought on by others. Pay attention to the signals. Some growth requires big changes. Full on eruptions. Ones that ensure there is no going back. It’s scary, but that is how new land is formed. 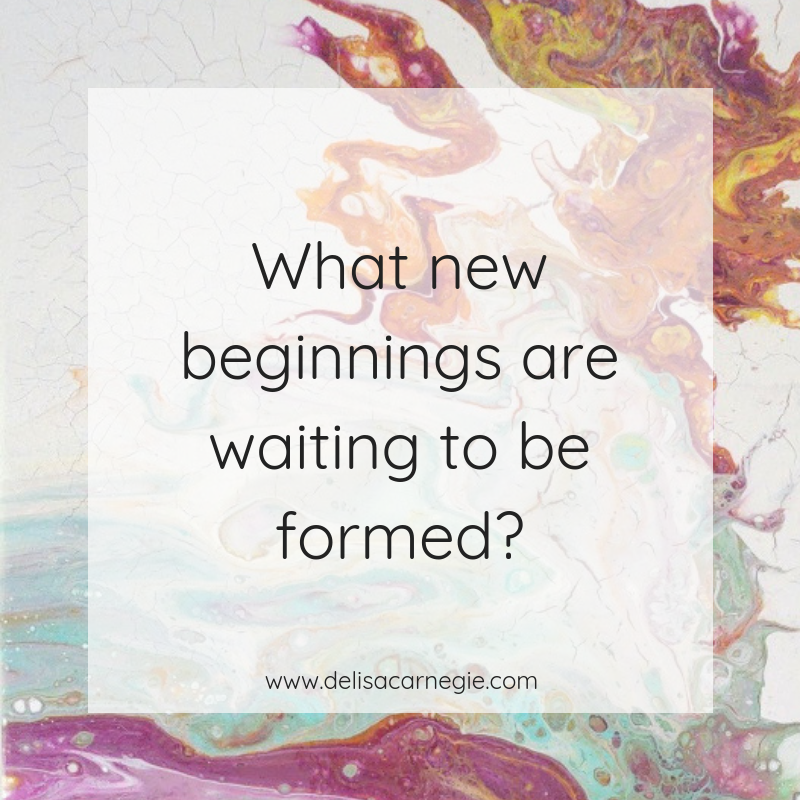 What new beginnings are waiting to be formed? This post is inspired by the painting Eruption. You can find it by clicking here.